Free up your worksurface with a contemporary pencil cup. 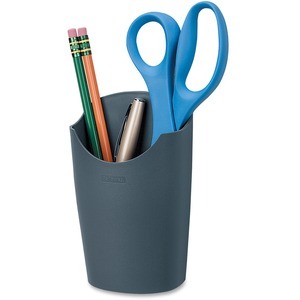 Partition Additions Pencil Cup features two separate compartments for organizing pens, pencils, scissors, and other essentials. Easily attaches to fabric partitions with pin hooks. Can easily be removed and repositioned. Made of plastic.